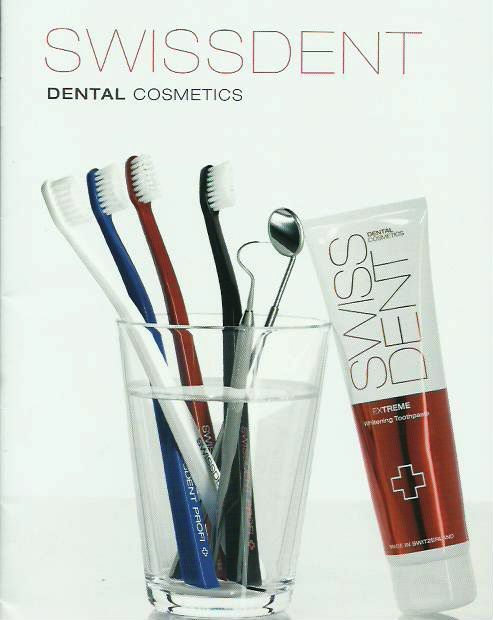 Swissdent Dental Cosmetics products now available in Australia from Advance Dental Health Supplies. A beautiful smile needs to be nurtured. Europe's favourite dental cosmetic manufacturer, Swissdent Dental Cosmetics, understands this more than anyone else. Designed and manufuctured by a Swiss dentist, Swissdent Dental Cosmetics offer innovative dental cosmetic products individually tailored to specific needs, restoring the fresh and bright white colour of teeth. 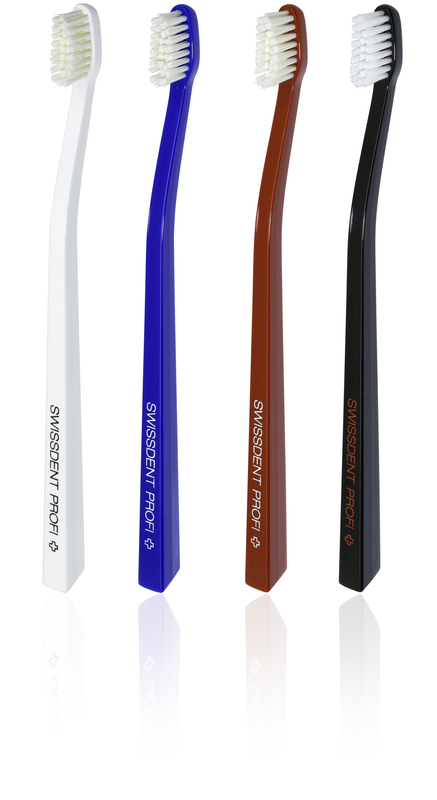 The patented and award-winning Swissdent PROFI WHITENING SOFT toothbrush has a small brush head in order to reach the most difficult places. 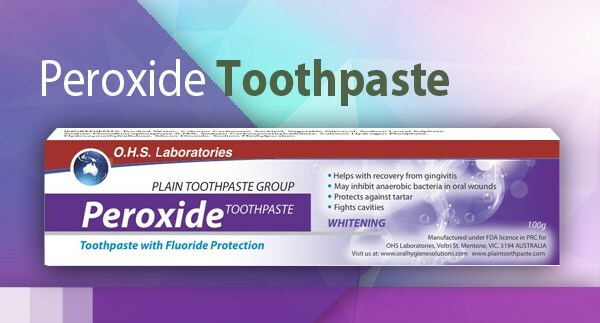 The whitening effect is improved thanks to special bristles. The concave bristle (spoon-shaped design) fits itself perfectly to the convex anatomical contours of teeth. The handle was designed by a dentist for perfect balance and manoeuvrability within the mouth. 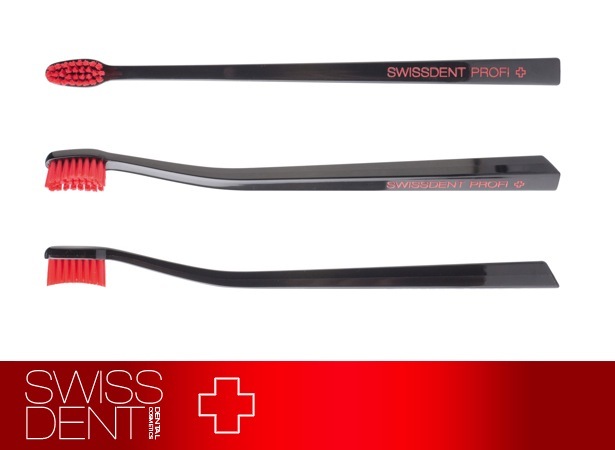 The European award winning Swissdent PROFI WHITENING SOFT toothbrush is designed by a Swiss cosmetic dentist and manufactured in Switzerland For optimal results, use the Swissdent toothbrush three times a day for two minutes. 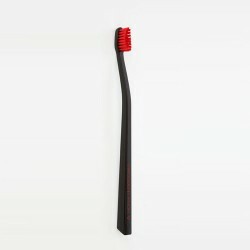 As bristles wear with time, you should replace the toothbrush with a new one every three months.